Grain truck being filled at a silo. 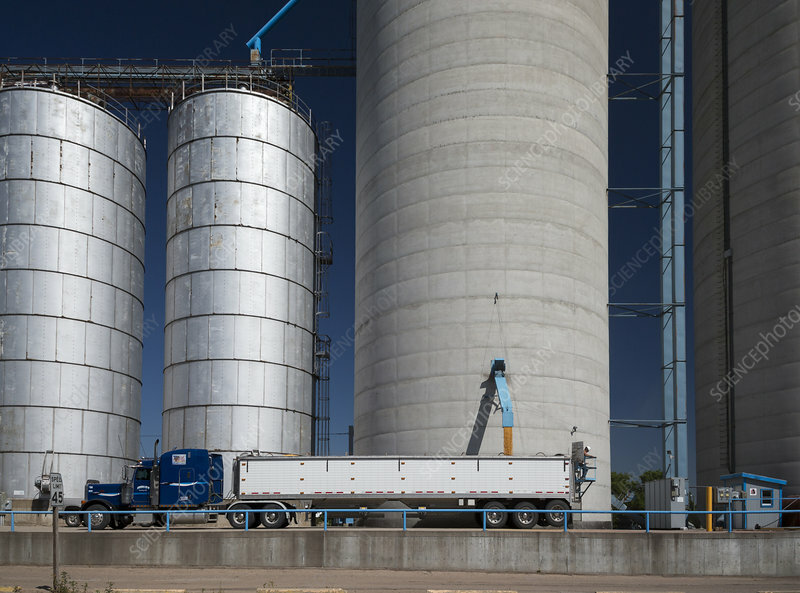 Grain being loaded from a large grain silo (or grain elevator) into a truck (lower centre). Photographed in Chapman, Nebraska, USA.